Book your car easily in 3 steps and save money on car rental at the Rome Fiumicino airport with our offers with the most important car rental companies like Europcar, Avis and Hertz. 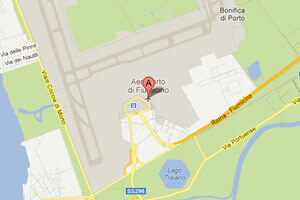 Are you planning to visit Rome and its surroundings and are you landing at the Rome Fiumicino airport? Then hire a car at the airport might be a wise idea since you can reach many places of interest in and around Rome like Piazza of Spain, the Trevi fountain and the Vatican City. We have many car rental deals for all kind of autos ranging from luxury car like Mercedes and BMW to compact and mini cars like Smart and Fiat 500: if you are arriving in Rome with your family or in larger groups you can even rent van/minivan and 7, 8, 9 seater cars like the Mercedes Vito, the Ford Galaxy Automatic 7 seater and the Citroen Jumper or similar. Our car rentals are All-inclusive and start from 20€ per day including tax and unlimited mileage. For some rentals there is also the possibility of getting a free GPS! You may find the following car rental companies at the Rome Fiumicino airport (Leonardo da Vinci - FCO) located in Torre Uffici 2: Auto Europa, Avis autonoleggio, Budget, Easycar, Europcar, Hertz, Locauto Rent, Maggiore and Sixt. Important: the booking process is hosted on 128 BIT secure servers. Rent a Mini if you need to move fast through Rome's busy streets. It has room for 2 passengers and is equipped with air-conditioning and manual transmission. The Galaxy 7 seater has room for 7 passengers and 5 pieces of luggage; this 7 seater van is air-conditioned, has an manual transmission and is ideal for groups or families. Smart is our most popular car since you can park it almost everywhere. It has room for 2 passengers and is equipped with air-conditioning and manual transmission.